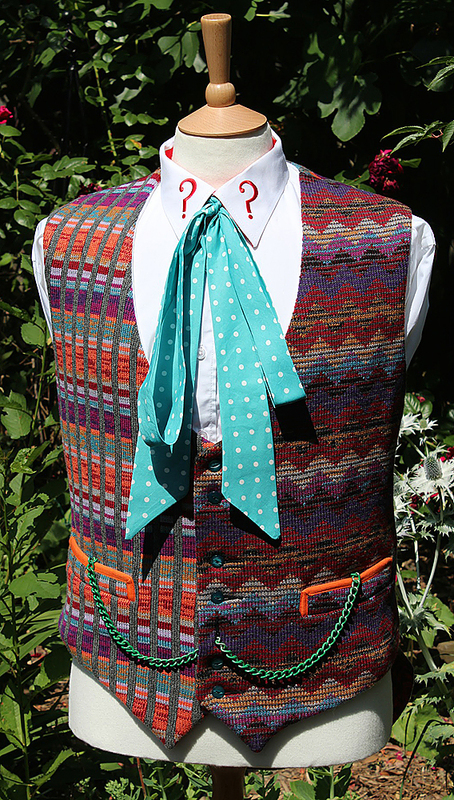 I’ve had a little success recently with getting some of the brooches the Sixth Doctor wore, so I thought I’d do a revamped Brooch index, setting the brooches on my Ultimate Six Frock coat. 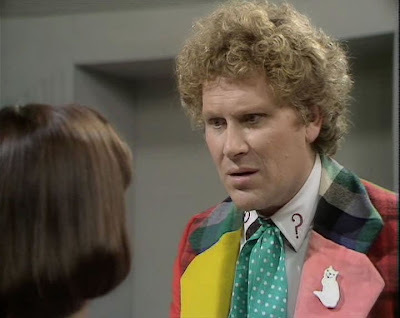 The first brooch was a china tortoise shell cat, which was introduced in The Twin Dilemma (see below) and was worn through to Vengeance On Varos. You can get a replica of this brooch made by the ORIGINAL maker! 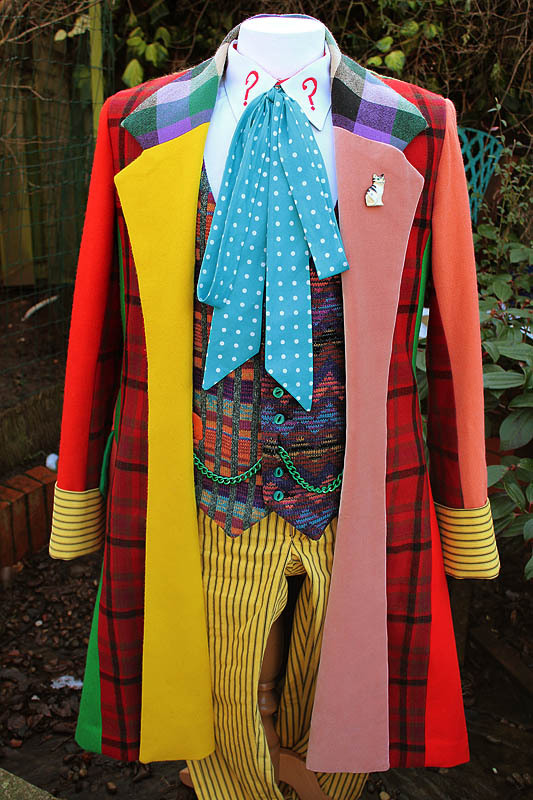 Ordering details an be found here: Ultimate Six Frock Coat - purrrrrrfection! 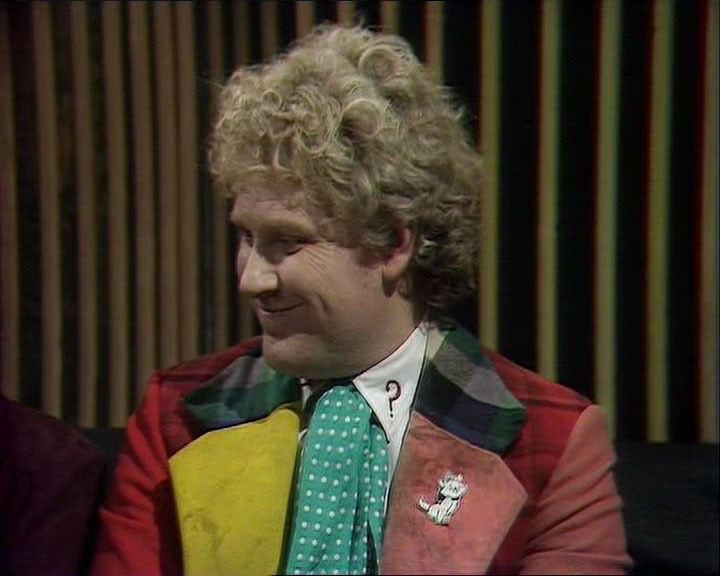 Midway through season 22 a new brooch appeared on The Doctor’s lapel. This was a flat plastic silhouette of a black cat with an arched back. The eyes have fake gemstones. In between The Mark Of The Rani and Timelash, The Doctor wears a sweet little one-off brooch for The Two Doctors. 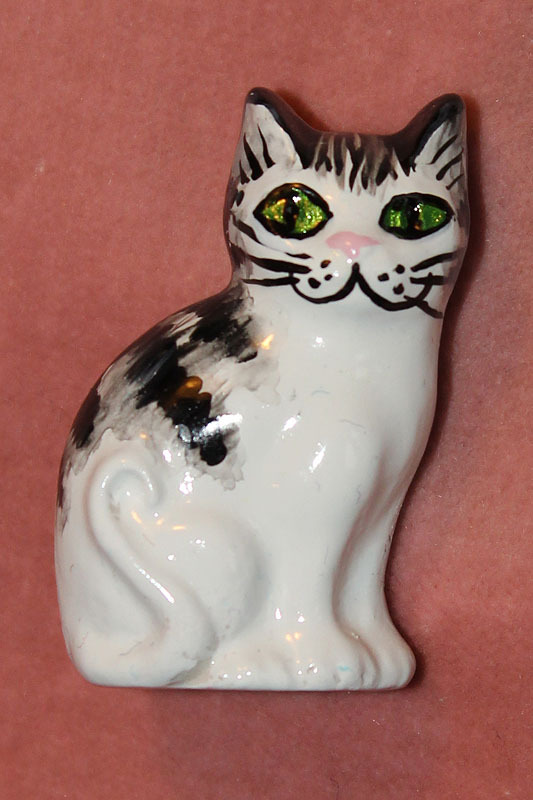 It is a flat cut-out of a white cat with a contented looking face. To round off season 22, The Doctor wears the most unexpected brooch of all - an enamel pin-badge of the cartoon cat Marie from the Disney animated feature The Aristocats. These are very rare, but it is still possible to track them down through persistent searching on eBay. Various versions are around with extra decoration around the character, but what you are looking for is Marie on her own. 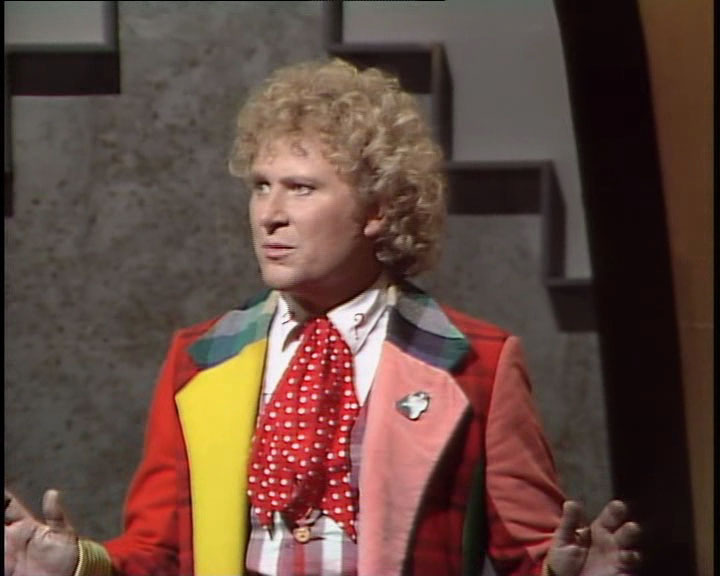 The first to appear is Weeble (see right) which is worn for the trial scenes throughout The Trial of a Time Lord season, paired with the red cravat. 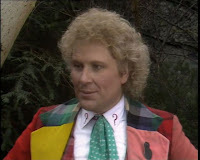 It is then worn throughout Mindwarp, the end of which leads into the opening of the trial, keeping continuity with those scenes. The second Maggie Moggie was the black cat, Eric (see left). 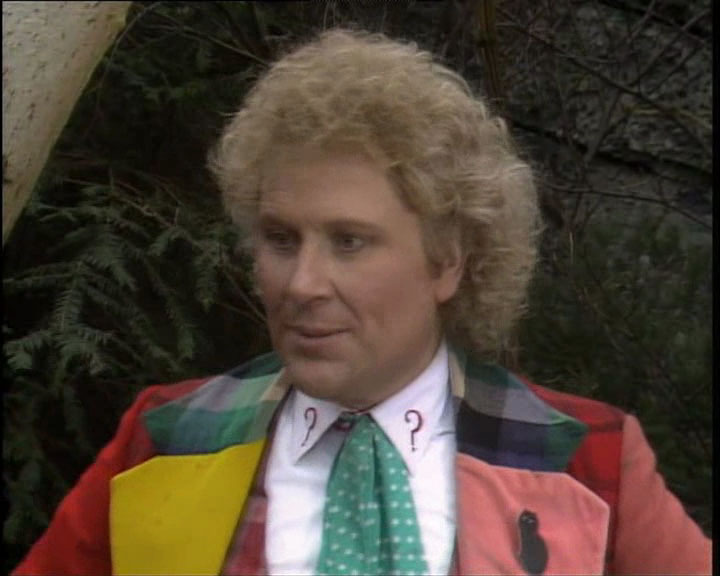 This was worn paired with the turquoise cravat during the flashback scenes of The Mysterious Planet to help distinguish the two time-lines. 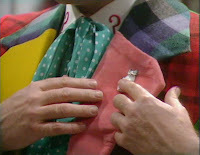 The flashback scenes that form Terror Of The Vervoids saw one final brooch adorn The Doctor’s frock coat. This a comic-styled ginger cat with a tiger-striped back and tail. The brooch is exclusively paired with the YSL yellow-starred cravat. 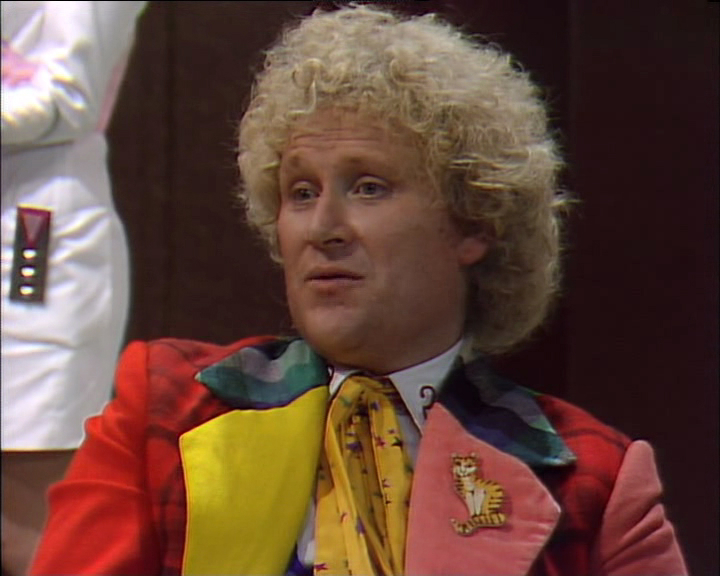 And then - though possibly not a 'Colin Baker era' brooch in the strictest sense - there was the grey siamese cat badge worn by the Doctor at the time of his sudden regeneration in episode 1 of 'Time and The Rani'. I might look to add a coda, and include it there. Do you know how to contact Maggie Howard,I'd like her to do portrait of our old cat asap as he's got anaemia & don't know how much longer he has? I'm afraid maggie Howard died a number of years back. However Susan Trevor, with whom I have en exclusive deal to make the original Colin Baker china brooches, is willing to paint cats to look like supplied photos. It would be on the same base moulding, just painted accordingly. Contact me direct at tennantcoat@me.com if you want to follow this up. Hi sorry to be a bit off topic but in taking images of the broaches its allowed me to look close up at the shirt. 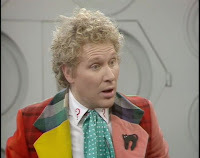 Is the shirt same as the one peter davison wore? 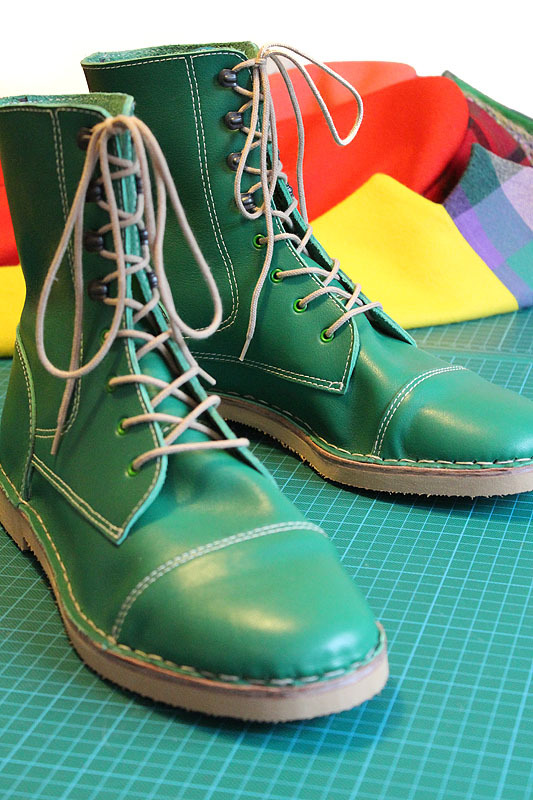 Have you done a post on it...I can't seem to find one shown in detail as I want to make a version for myself. 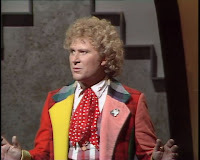 Six Frock coat vs Special Weapons Dalek!